Offering an entirely NEW approach to young interior design, energetic hospitality, and seductive customer-centered services, NEW Hotel is the first ever hotel project of award winning designer duo, Fernando and Humberto Campana. YES! Hotels owner and international arts patron Dakis Joannou commissioned the Brazilian brothers for their eco-sensitive ethos and the use of contemporary handicraft practices and local idioms. Drawn to their specific language, which in turn draws from urban street life, contemporary art and the Sao Paulo favela culture, Joannou gave them absolute freedom to dream. The result is an intriguing 79-room establishment, where every public space and every floor has been creatively re-NEW-ed to include remnants of the former Olympic Palace Hotel. The interiors are simply outstanding, the unusual custom-made furniture and handmade fixtures making guests feel that they live and breathe in a major art installation. 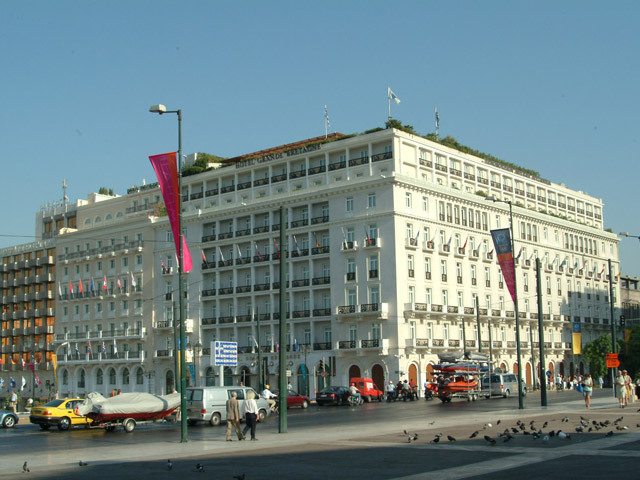 New Hotel is located on Filellinon Str. 16, 200 meters from Constitution Square and within walking distance from the citys main attractions. 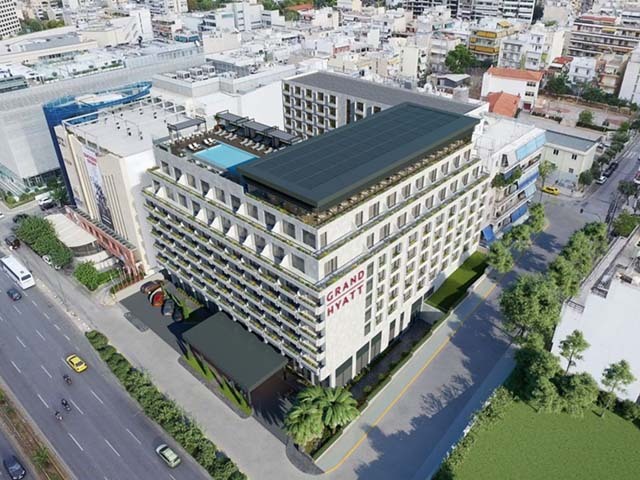 Both leisure and business travelers will enjoy this enviable NEW hotel, right at the centre of Athens. 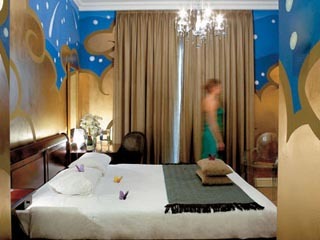 With a generous 20 to 23 square meters of space, these rooms are unusually large for standard rooms. Offering a side street view, they catch the vibe of the historic neighbourhood. Superbly arranged, they feel bigger than their 23 to 25 square meters. 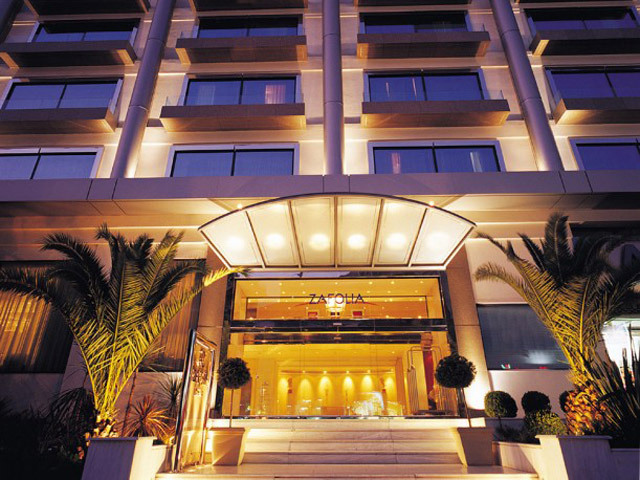 The superior rooms offer a side-street view, beating with the citys pulse. Studios cover 30 square meters of sophisticated design, including a comfortable sitting area to wind down. Generously spaced in their 35 square meters, the junior suites treat their guests regally, offering separate sleeping and living room areas. Designed to perfection, the spacious penthouse suite encapsulates the Campana aesthetic in all its 65 square meters. One bite is never enough! NEW TASTE is a culinary haven, with its welcoming ambience, fabulous seating, and simply excellent food. Enter the world of high design, with the Campana brothers showcasing their trademark approach at its very best. Inspired by their iconic Favela chair, Favela columns are covered with intricately connected cut pieces of wooden furniture taken from the original hotel, at once forming a recycled artwork and paying their tribute to the past. Tomato and pixel chairs give a fresh breath of a deconstructed 21st century air while the emblematic golden bell-shaped lamps cast their extravagant glow. A bar-restaurant serving morning buffet breakfast, lunch, and a la carte dinner, NEW TASTE exalts the Mediterranean cuisine. The highly innovative menus, using local organic products and the finest and freshest produce, alternate from lunch sandwiches and salads to grills and Greek specialties to delicious dinner plates, always served with a smile. For those who cannot resist but are in a hurry to catch a plane or their next meeting, there are also take-away facilities. New Taste features an authentic Espresso Bar, serving the Napolitano Passalacqua coffee. Traditional breads and pastries baked daily are simply irresistible. Breakfast is served daily between 07h00 am and 10h30 am. 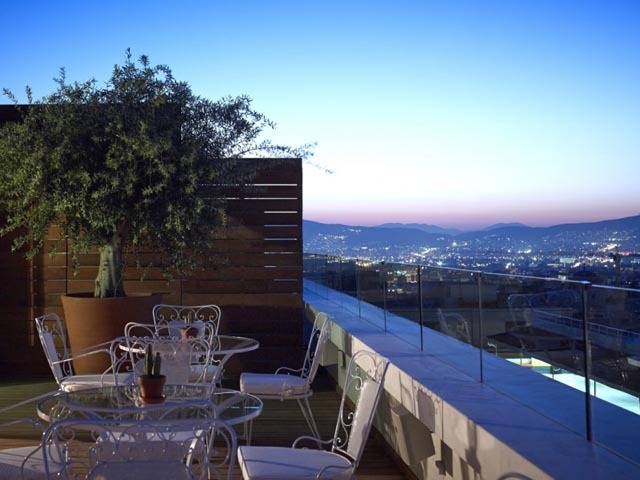 New Art Lounge, rooftop lounge (7th floor) with a panoramic Athens view serving your favorite food & drinks. Designed to be the ultimate penthouse, New Art Lounge features a unique Art library with more than 2000 art book titles. The comfort and scenery of the space is reason enough to visit.